Tell me again how this is *not* about racism? It seems odd to me that fans turn a blind eye when a player assaults another person, whether it's beating up someone at a club, obstructing justice in someone's death, or dragging a woman out of an elevator by her hair. 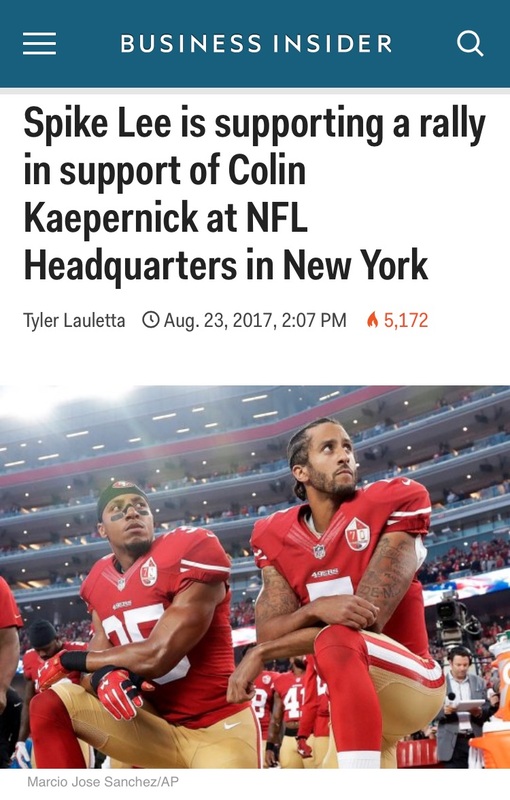 But they suddenly draw the line when players don't stand for anthem. Where was the outrage before? And now we hear from faux patriots saying the anthem and the flag are so important. 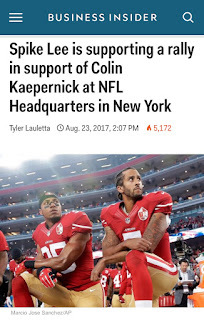 And they now despise the nfl and football because they aren't doing something about it. But where we these same people when the nfl and it's owners pretended to be patriotic, inviting vets to games at a cost to the military? When the nfl wanted us to believe they were patriotic but were really just in it for the bottom line? IMHO that's 100x worse than a player who exercises their constitutional rights to a silent protest. And please don't give me the crap about them being on the job. Their employers are allowing it and it's not while they are actually working.